As I rode down the driveway, drenched from a long bike ride across Lopez, the last thing I wanted to see was a mountain of unstacked firewood in the yard, getting rained on. Todd the wood guy had come early. So, Henry, Ruby and I got to work – using their wagon to transport the wood to the empty racks alongside Fry Lodge. We stacked wood well into the night. 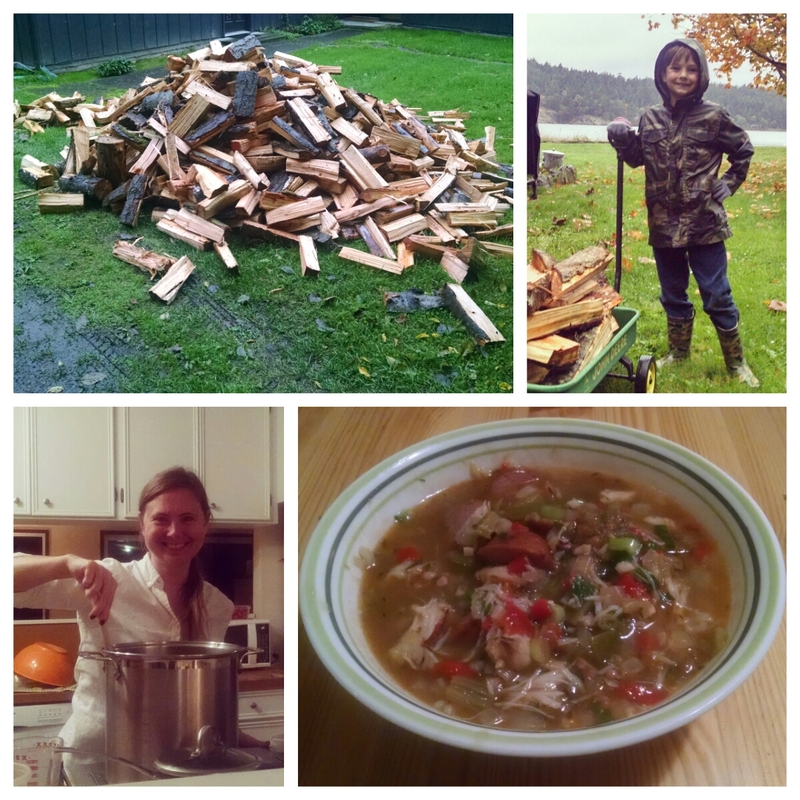 Meanwhile, Kristine was working just as hard inside the house, making her first-ever Dungeness crab gumbo. When the wood was finally stacked, we had a very nice reward. Autumn on Lopez is treating us well.